The AA expects brands to spend £6.4bn in the final three months of the year. The Advertising Association has predicted a 5% rise in fourth-quarter adspend this year, continuing at least seven years of growth, inspired by brands competing to make the biggest noise at Christmas. The organisation found that in the fourth quarter last year, brands spent £6.1bn – around 28% of the total £22.1bn they spent across 2017. The AA is tipping fourh-quarter adspend to clock in at £6.4bn, almost 50% higher than the £4.3bn spent in the same period in 2010. Stephen Woodford, chief executive of the AA, said: "Our Christmas advertising season is the envy of the world, thanks to the brilliant, creative talent working in our industry. The joy of this advertising period, seeing what brands bring out each year, is an integral part of a great British Christmas." 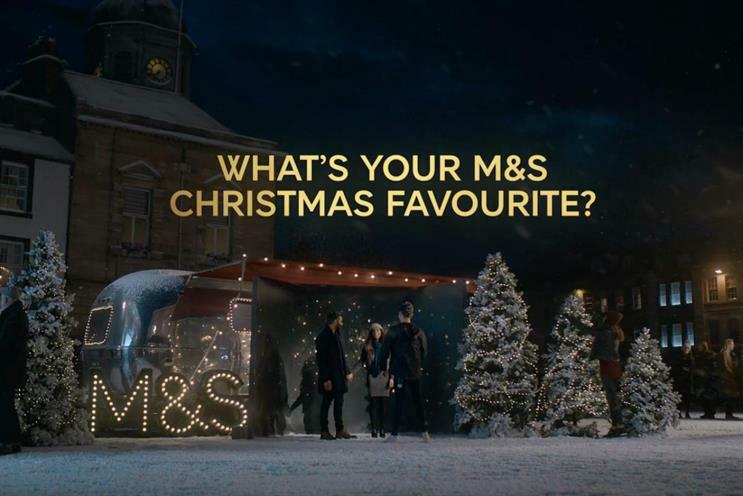 Karen Fraser, leader of advertising think tank Credos, added: "Advertisers are increasing their investments in Christmas advertising year on year, because they know Christmas advertising works. "As the UK high street faces an uncertain future, Christmas is one of the key periods for retailers. Advertising helps stores attract customers, and that helps sustain jobs and high streets in the UK. We need advertising and we need Christmas advertising in particular."